Shred Ace is a NAID AAA Certified mobile shredding company that serves Washington, DC, Northern Virginia, and Maryland. Our trucks are based locally, enabling us to provide responsive and reliable shredding services at affordable rates. Around our nation’s capital, Washington DC area businesses, residents, and government agencies know the importance of information security. Document and paper shredding, hard drive shredding and more — whatever your office needs, Shred Ace can help. And the best part is, whatever amount of material you have, we come directly to your office and shred it right on our trucks! Our confidential on-site shredding service is NAID AAA Certified, our industry’s highest benchmark for security. If you need a secure and reliable shredding company in DC, MD or VA, turn to Shred Ace. Make sure that your business' confidential information is securely destroyed. We know the greater DC area – we navigate the traffic, we know where to park, and we are proud to provide our paper shredding services to this market at an affordable price. Furthermore, we do not send our shredded material to a landfill – everything we shred is recycled, in keeping with our eco-friendly mission. Don’t just take our word for it – ask us for a reference or see what our customers have to say! Interested in engaging our DC shredding company for shredding services? Contact Shred Ace today – we are excited about the opportunity to earn your business! 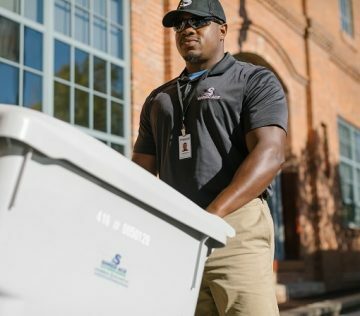 Our shredding company is NAID AAA Certified for mobile document shredding, hard drive shredding, solid state drive shredding, and product destruction – we service the entire DC, Maryland and Northern Virginia market, including Fairfax, Vienna, Reston, Rockville, Leesburg, Bethesda, Waldorf, Arlington, Alexandria, Silver Spring, Tysons, Manassas, Columbia… the list goes on and on. Please click on our Service Area tab above for more information. Please contact us if you are a qualified GSA purchaser. 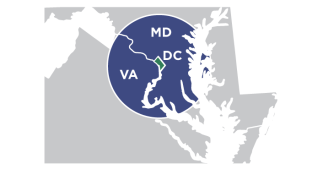 Shred Ace is proud to offer GSA Contract GS-03F-071DA services and pricing to federal buyers all across Virginia, Maryland, and Washington, DC. Our list of satisfied government customers is constantly growing – contact us to find out why. Please don’t hesitate to contact the DC shredding specialists at Shred Ace with any questions you might have!